Distribution lines may be located either overhead or underground. 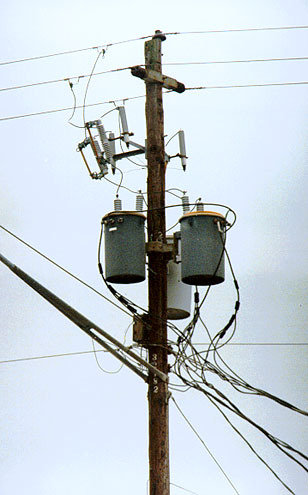 The traditional method of distributing electricity to customers has been on wires attached to poles high above the ground, referred to as overhead distribution. 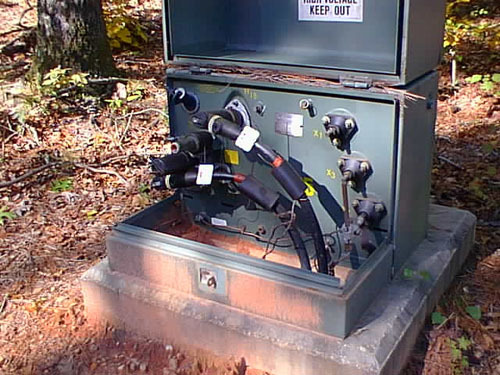 Transformers and other equipment in the overhead system are mounted on poles or other supporting structures. Overhead distribution is still widely used despite recent advancements in wiring materials that have increased the popularity of underground systems. Overhead lines are less expensive to build and maintain, however they are subject to many weather related problems. Underground lines are protected from severe weather by their location, but are more expensive to build and maintain. There are some parts of the country where, because of earthen conditions, underground distribution is nearly impossible. Low-lying land, flood plains, and rock layers will always be strong candidates for overhead distribution. Even in ideal conditions, underground is still more expensive for utilities to install and maintain than overhead.